From all that the Lake House has to provide, to all that the sprawling forests, streams and trails have in store, there’s always something to do at SweetGrass. This magnificent rustic mountain lodge is an ideal spot for family reunions, weddings or casual get-togethers. A grand fireplace and hearth and big screen TV dominate the large gathering room inside. While outside, an expansive patio, covered grill and outdoor fire pit encourage full enjoyment of the great outdoors. 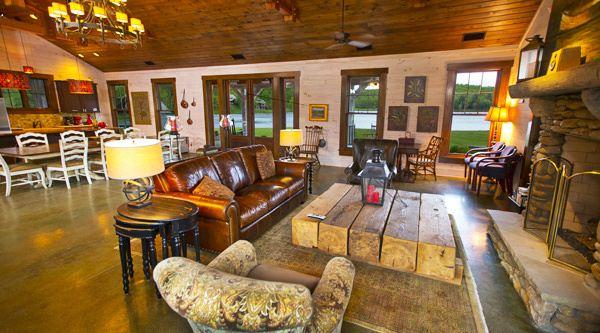 The lake house boasts a huge kitchen, game room, an internet-enabled business center and a fully appointed fitness center. Also, as befits its name, the house offers access to a swim beach, canoe house and fishing dock. 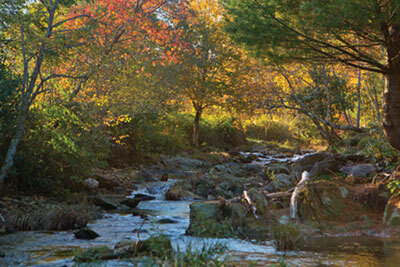 This fully stocked, protected trout stream has been designated as a North Carolina outstanding trout stream. And to protect Boone Fork Creek for future generations, we are extending the size of stream buffers and preserving its flood plains. 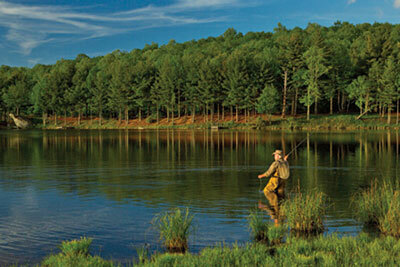 At the heart of SweetGrass is a 22-acre lake fed by Boone Fork Creek. 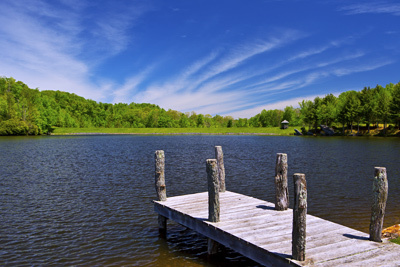 Like the Creek, SweetGrass Lake is fully stocked with rainbow trout to provide a world-class fishing experience. Drop a line or launch your canoe from the Lake House. Follow the trail to Treetop Park, a wonderful place for a camp-out, or explore Chimney Park. Miles of trails provide hikers, bikers and walkers with lots of chances to get out and enjoy the fresh mountain air. 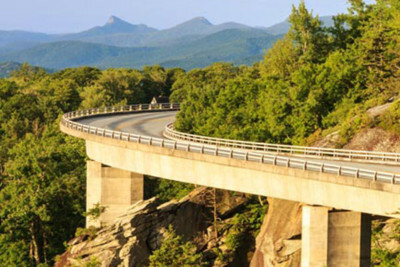 This scenic byway stretches nearly 500 miles through North Carolina and Virginia and encompasses both prehistoric and early European settlements. SweetGrass is located off the historic Blue Ridge Parkway, just north of the Linn Cove Viaduct and visitor center. There’s no better way to relax and get back to the basics than by taking a canoe out on SweetGrass Lake and dropping a line. Or by finding a quiet section along the bank of Boone Fork Creek to try and coax some fish out of the bubbling river. Both are stocked with Trout for hours of angling fun. 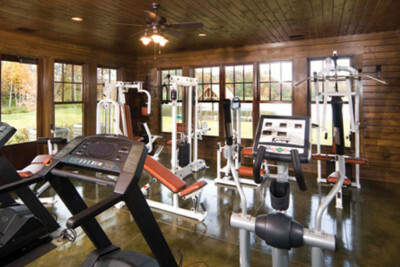 Get some extra reps in after a hike or pound out a few miles on the treadmill free from the elements – either way, the fitness center, with plenty of windows for taking in the scenery, is the perfect place to keep up with your workout regimen while your at home at SweetGrass. Call us to schedule a Discovery Tour.